The Hayabusa-2 mission shares many common goals with OSIRIS-REx. 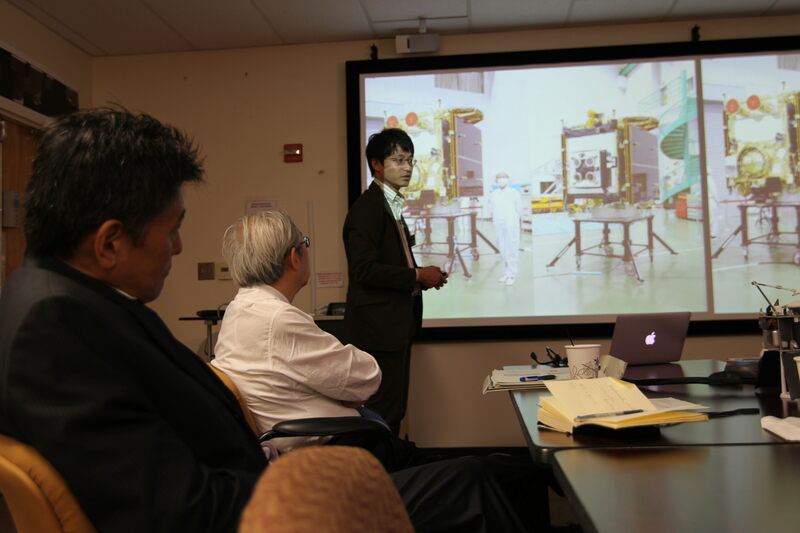 On October 3rd, 2014, the University of Arizona (UA) hosted representatives of the Hayabusa-2 asteroid sample return mission to explore opportunities for collaboration with the OSIRIS-REx team. Following an invitation from UA President Ann Weaver Hart, a team led by Dr. Saku Tsuneta, Director General of the Institute of Space and Astronautical Science (ISAS) of the Japan Aerospace Exploration Agency (JAXA), visited the UA. 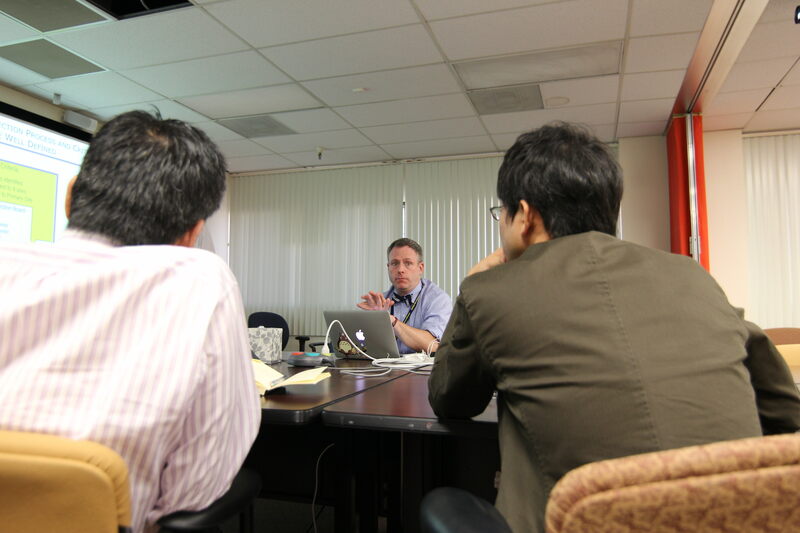 The meeting included Dr. Masaki Fujimoto, ISAS director of solar system exploration, as well as Dr. Shogo Tachibana and Dr. Harold Connolly, the scientists who oversee the sample analysis plans for Hayabusa-2 and OSIRIS-REx, respectively. Hayabusa-2 is the follow-on mission to Japan’s successful Hayabusa mission, which was the first mission to retrieve samples from an asteroid and return them to Earth. Hayabusa visited asteroid Itokawa, an S-type near-Earth asteroid linked to ordinary chondrite meteorites. 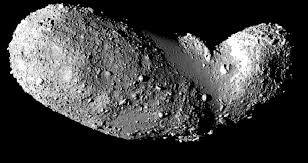 Hayabusa touched down on asteroid Itokawa in late 2005, captured sample particles and returned them to Earth in 2010. I am personally a huge fan of the Hayabusa mission. We learned an enormous amount from that mission — it changed our whole perspective on OSIRIS-REx. Our Japanese colleagues helped themselves to plan Hayabusa-2 and to reduce the risk and the challenges of that mission, but they helped us without even realizing it. We studied their mission intently, we studied their asteroid, their processes and procedures, we took away the best, and we improved areas where we thought we could reduce risk even more. In many ways it fed into the design and planning for OSIRIS-REx. While Hayabusa provided exciting data about Itokawa, the mission had some difficulties carrying out its sampling. 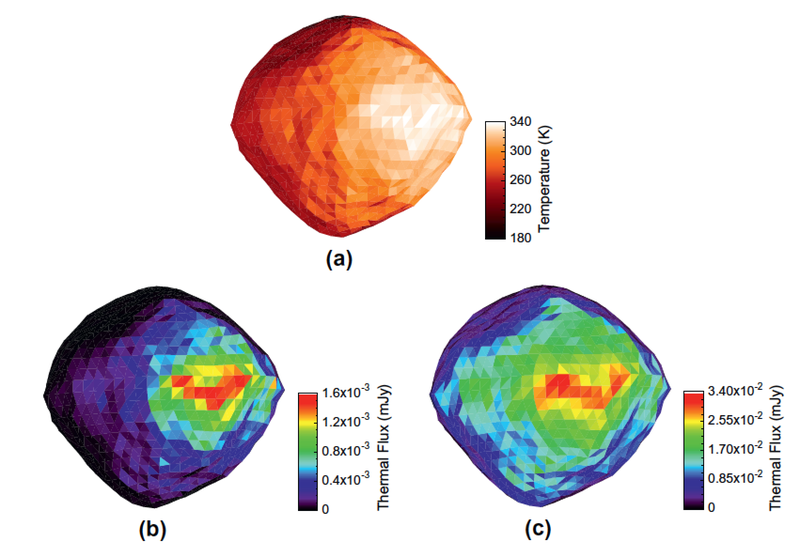 We attribute these difficulties to three main factors: 1) a short amount of time to develop comprehensive global knowledge of Itokawa prior to initial sampling attempts; 2) need for more simulation of sampling operations using high-fidelity models of Itokawa and the spacecraft prior to sampling attempts; and 3) constrained tolerances on asteroid surface criteria for the sampling mechanism. Hayabusa had two months of operations at Itokawa prior to the sampling attempt. OSIRIS-REx will spend almost a year characterizing Bennu, with the first sampling attempt occurring after we have had substantial time to characterize the surface and select the optimum sampling site. OSIRIS-REx uses detailed modeling and simulation of Bennu, the spacecraft, and the instruments to validate the interfaces and processes required for efficient navigation. OSIRIS-REx will essentially fly thousands of virtual missions to Bennu prior to encounter. Finally, Hayabusa had <1 month to both rehearse sampling maneuvers and collect a sample from Itokawa, which resulted in rapid-paced operations, difficulties in interacting with the asteroid surface, and the fortuitous collection of micron-sized grains as the returned sample. For OSIRIS-REx, an extended TAG Rehearsal Phase is planned, with each step in the sample collection maneuver sequence rehearsed and verified prior to moving to the next step. The primary goal of Hayabusa-2 is to again return asteroid samples to Earth. This time the science is driven by sample return from a C-type asteroid, called 1999 JU3, which is thought to contain more organic matter than the S-type asteroid explored by the original Hayabusa mission. OSIRIS-REx is targeting Bennu, a B-type asteroid. Successful sample collection from both target asteroids is expected to provide knowledge on the origin and evolution of the planets, and in particular the origin of water and organic matter on the Earth. Hayabusa-2 will utilize and improve upon the technologies used in the original Hayabusa mission. The Hayabusa-2 mission will use ion engines to access 1999 JU3 in a spacecraft almost identical to the original Hayabusa. There are some significant modifications to the instrument suite, communications array, the sampling system, and multiple deployable assets (small carry-on impactor, a separation camera, several surface rovers, and a lander). 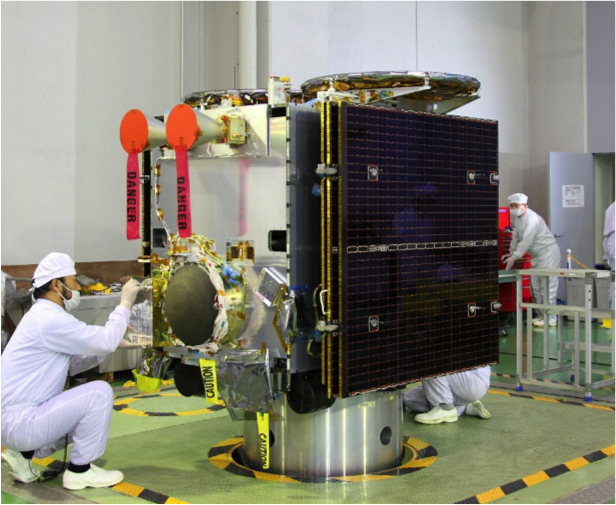 The Hayabusa-2 payload is comprised of a multi-band imager, a near infrared spectrometer, a thermal infrared imager, a laser altimeter. Hayabusa-2 will attempt to collect three samples from the surface of the asteroid in order to return a minimum of 100 mg of material. Prior to its third touchdown, Hayabusa-2 will release the impactor on the asteroid surface that will create a small crater, possibly exposing more pristine materials from beneath the surface from which sample collection may be attempted. The Hayabusa-2 spacecraft is built and ready for its journey to 1999 JU3. Hayabusa-2 Mission Sample Scientist Shogo Tachibana gave us an overview of the mission. Congratulations on a remarkable post! Many thanks for the details about the Hayabusa-2 mission and the upcoming international collaboration between the two science teams. Truly inspiring in these troubled times.